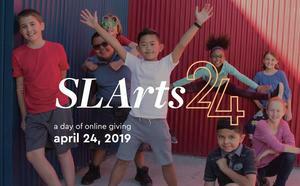 We're getting close to the SLArts 24 -- A Day of Giving, where our little charter school has a BIG opportunity. Help us raise $15,000 in one day and every donation will be matched -- adding up to $30,000 for our school. Advance giving is open now -- you can click here to learn more! The Governing Board will meet Friday, April 12 at 4 p.m. in Room 201, to discuss a Re-Financing Application and a potential expansion to SLArts' current building. All Board meetings are open to the public, and everyone will welcome. To view the agenda, click the headline! Governing Board Meeting Friday, March 15,3:00 p.m. The SLArts Governing Board will meet Friday, March 15 at 3 p.m. in Room 201. Board meetings are open to the public and everyone is welcome. To address the Board, please contact Matt Nelson at [email protected] To view the agenda, click here. Governing Board Special Meeting Friday, February 22, 4 p.m. The Governing Board will meet for an update on plans for refinancing the school's bond, and a facilities update. SNOW DAY! No school today, February 6th! You know it's a big storm when SLArts cancels school! Please stay safe and cozy, everyone and we will see you tomorrow. Admissions Information Night, Feb. 4, 5 p.m. It's Admissions season at SLArts, and we have one more Admissions Information Night scheduled to help prospective students and parents decide if SLArts is right for them. To learn more about SLArts, join us for one of these events to meet our Principal, hear about our program, and take a tour of the school. Current parents, please help us spread the word! Click here to learn more. 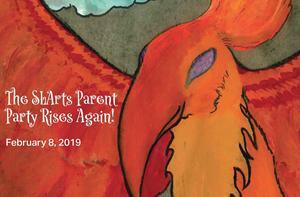 SLArts Parent Party - Get your Tickets by February 5! Parents are invited to a grown-up celebration of our school on Friday, February 8 at Pierpont Place! We will light up the night with food from Tin Angel and complimentary beverages from some of SLC favorite distilleries and breweries. Tickets are an affordable $35 per person, 21 and over, please. Click here to buy yours before they sell out! Sparking Creative Minds - Thank you!!! Thank you, Parents, for taking us over the op of our goal for our "Sparking Creative Minds" Annual Campaign! You raised over $66,000 in just two months for our small public charter school, making it possible for us to offer our unique arts program. Thank you from all of us! SLArts Govenring Board meetings are open to the public; everyone is welcome. To speak to the Board, please contact Matt Nelson, [email protected] To view the Agend, please click here! Governing Board Meeting, Friday, November 16, 3:00 p.m. The Governing Board will meet on Friday, November 16, at 3:00 p.m. in Room 201. Board meetings are open and public meetings, and anyone is invited to attend. To speak to the Board, please contact Board Chair Matt Nelson, [email protected] To view the Agenda click here!